There's no doubt social media plays an increasingly important role in customer engagement strategies, but many sales and marketing teams struggle with how to use social platforms. In this expert guide, gain insights and key takeaways from Sales Machine 2016, a two-day sales best practices and technology convention hosted by Salesforce and Sales Hacker. 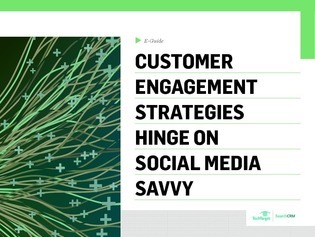 Learn how you can use social media as an effective customer engagement tool.